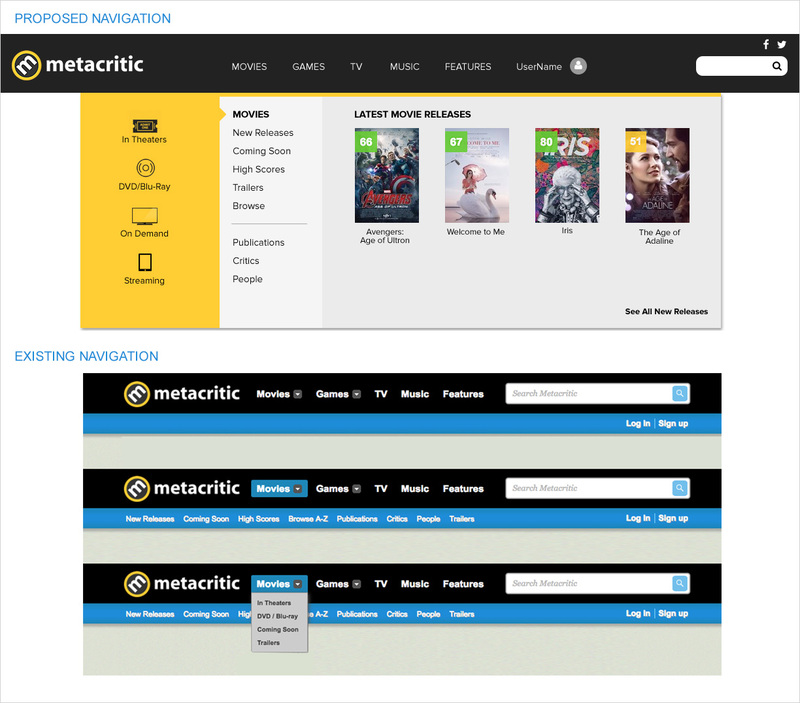 During a pre-redesign phase for CBS Interactive’s Metacritic website, my task was to propose new ways to streamline site navigation, redesign the Movies section and design new layouts for photo galleries; including developing wireframes and visual designs following adaptive design approach. The existing navigation was cumbersome and included a primary navigation bar, a secondary and drop downs. My proposed UX/UI combined all the necessary navigation elements in one mega-nav panel which also allowed space to promote actual content. 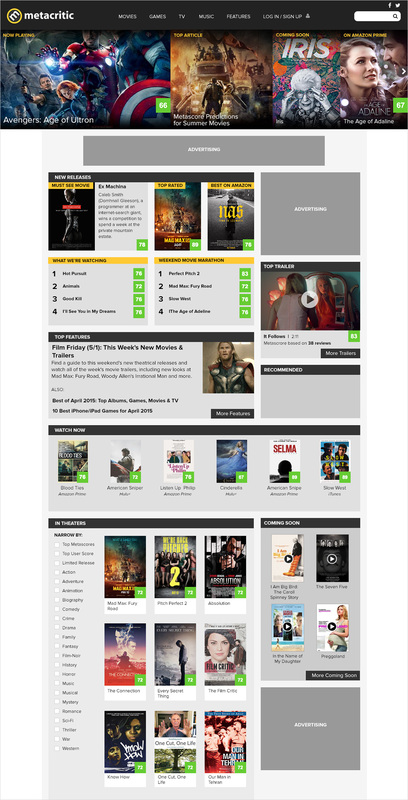 On the proposed redesign for the Movies main page, the top container included modules of different widths to give editors the flexibility to promote a different number of movies and articles.